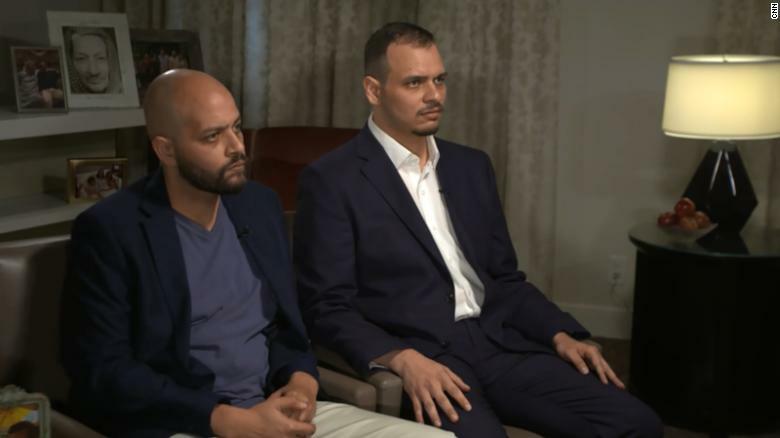 The sons of murdered journalist Jamal Khashoggi issued an emotional appeal for the return of their father’s body, in their first interview since he was killed in the Saudi consulate in Istanbul a month ago. Saudi Arabia has presented an evolving narrative about what happened to Khashoggi, a Saudi citizen, when he entered the consulate to get papers for his wedding; the journalist was preparing to get married for a third time. Authorities initially denied all knowledge of his fate before later admitting that a group of rogue operators, many part of Crown Prince Mohammed bin Salman’s inner circle, were responsible. Riyadh has maintained that neither bin Salman nor his father, King Salman, knew of the operation to target Khashoggi. 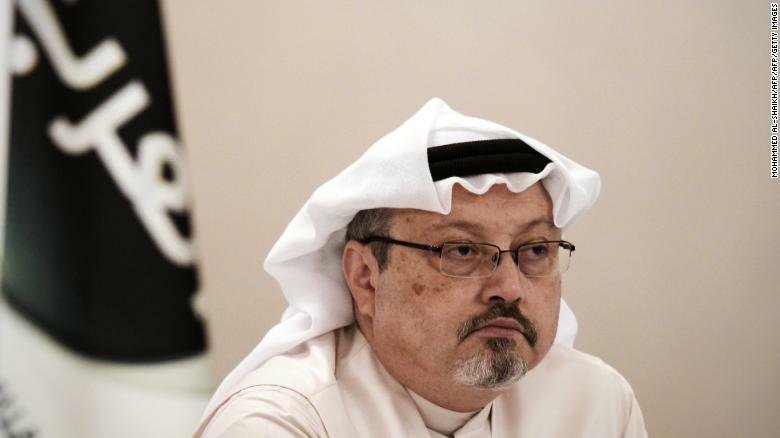 But what has really come to trouble his two sons, their two sisters and their mother are the lies, they say, that have sprung up since Khashoggi’s death. “Jamal was a moderate person. He was liked by everybody. He had differences and common values with everyone,” Salah said, describing Khashoggi as a genuine, happy person and an “amazing” father. Jamal Khashoggi, looks on during a press conference in the Bahraini capital Manama, on December 15, 2014. Khashoggi was labeled as a Muslim Brotherhood sympathizer and a dangerous Islamist in phone calls the Saudi crown prince had with Jared Kushner, US President Donald Trump’s son-in-law and Middle East adviser, and John Bolton, national security adviser, according to reports in both the Washington Post and New York Times. The Muslim Brotherhood, considered a terror group in many Arab nations, but not the US or Europe, has long been seen as an existential threat by the desert kingdom’s leaders. Reflecting on their father’s career as a journalist, they say Khashoggi was “like a rock and roll star” when they were out with him in Saudi Arabia. If there is a frailty that comes with suddenly losing a parent, Salah and Abdullah, who is two years his junior, don’t show it, but Salah’s sunken, shadowed eyes show the strain. 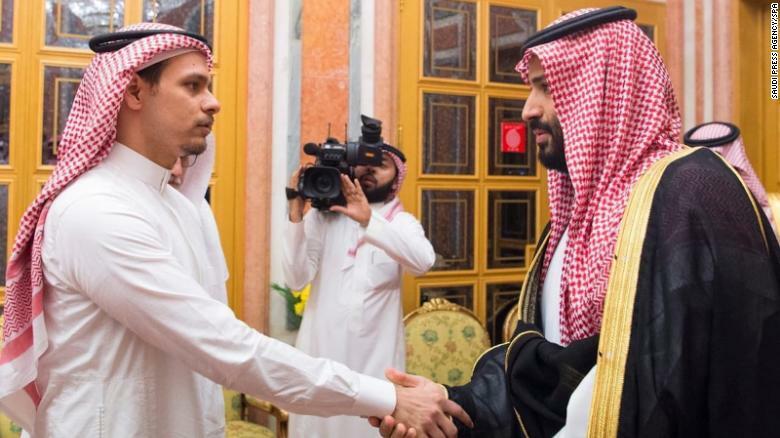 Salah, the eldest sibling, has been made the principal family point of contact by the Saudi government, meaning all of Khashoggi’s relatives call him. It’s a large family and a large emotional burden not eased by the absence of facts. He says he relies on news reports for updates about the investigation into his father’s death. “Our source is the same source that you have. It is a mystery. This is putting a lot of burden on us — all of us. That everybody is seeking for information just as we do. They think that we have answers, and unfortunately we don’t,” Salah said. Abdullah, who lives in the United Arab Emirates, says he was the last of Khashoggi’s children to see him alive. When he heard the journalist was going to be in Turkey he went to visit him and spent time with him and his fiancée, Hatice Cengiz. He saw their blossoming relationship and his father’s happiness. Following the murder, Abdullah was the first family member to visit Khashoggi’s apartment in Virginia. There, he said, he found that his father had placed a photograph of his grandchildren, Abdullah’s two children and Salah’s daughter, by his bed. “The main reason behind him choosing to live in Turkey is to be closer to his family. He has a very special relationship with all of his sisters. It’s been hard for all of us to hear the tragic news,” Salah said. Salah and Abdullah are suffering, but they are not lathered in self-pity. They’re speaking publicly now to restore the part of Khashoggi’s narrative that belongs to the family. But they say each day is tough, scouring the news for even the smallest detail about their father’s murder. Saudi Crown Prince Mohammed bin Salman pictured shaking hands with Salah Khashoggi. “The King has stressed that everybody involved will be brought to justice. And I have faith in that. This will happen. Otherwise Saudi wouldn’t have started an internal investigation,” Salah said.